Sometimes fruits and vegetables really profitablebuy at the store. But as products grown with their own hands, always more confidence. In addition, work on the land increases vitality, if it fulfill wisely. But hard physical labor is not always useful, especially for those who are used to working in the office. To spring chores were pleasant and not too burdensome, it is necessary to acquire small-scale mechanization means. Modern technology can, of course, buy, but it turned out to do, for instance, cultivator with his hands just enough. Check it. Tornado - so called hand-cultivator,which can and should be done with his own hands. With such a device, resembling a twisted fork, you can forget about the endless battle against weeds. The teeth of the tool at an angle stick into the ground, after which the tornado you have to turn and lift. You do not have to apply force, because instead of the usual knobs at Tornado has a lever. All this great good roots removers, butfamiliarity with its shopping price may completely discourage the desire to become its owner. However, nothing complicated in this device is not present. Cultivator Tornado can be done independently, and even in several different ways. We need the steel tape 50 cm long,1-1.5 mm thickness and 2 cm in width. For our purpose, it is best to use a springy steel. Bend the tape as a loop and is fastened to the wooden handle tool. cutting length is determined by the owner's growth: work tool should be easy. You can make and the lever is the same as the store roots removers. Working steel hinge should turn with a diameter of 20 cm, which is slightly smaller than the width between rows. The edges are sharpened with a file loops on both sides. 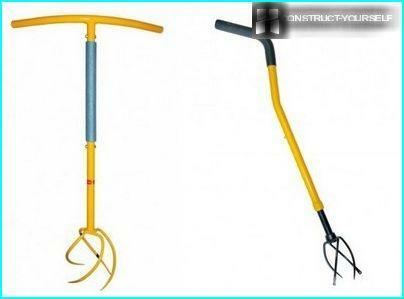 If a tornado looks like a fork, then why thisfamiliar to all gardeners tool and do a manual tiller with his own hands? We are looking at a hardware store and a conventional fork tines Let us give this tool the desired bend using a hammer. In general, the tool should look like a kind of a tailspin. It is important to take the time and proceed with caution. half-meter segment will need to armplastic pipe. We buy at the store, and plastic handle-attachment to a handle, which is used for the forks or shovels. The tube is cut lengthwise, put on the handle and fasten with tape so that it does not slide. 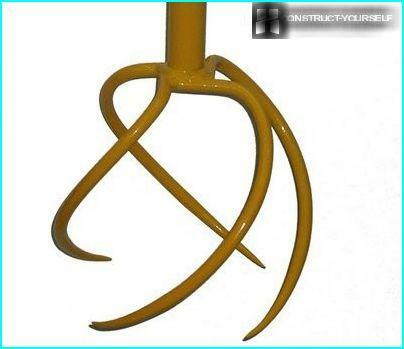 Now get the lever extends approximately 25 cm from the stalk on both sides. Cultivator ploskorez help to cope with weeds and make life easier for any gardener. 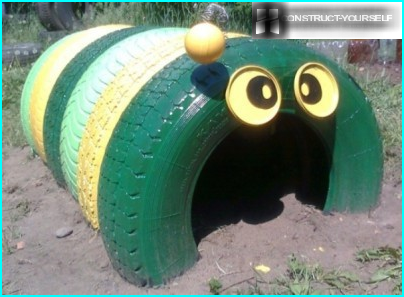 Structurally, it is more difficult than the tornado, but not by much. Drill, Bulgarian, wrenches, drills, screws and so on. From bicycle handy frame and one wheel. tiller head is attached to the frame. 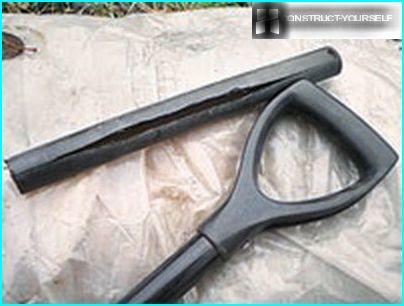 The same can be used as part of a two-handed cutting saws, a small plow or sharp steel bars made independently. Mechanism for controlling the handle is made of aluminum or steel pipes. Snip tube about 2.5 cm in diameter is useful as a transverse web. 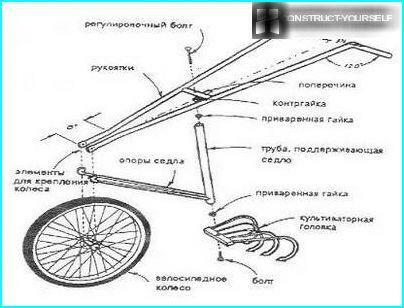 Ploskorez can be done on the basis of an old bicycle, using a cutting part of the working surface of the two-handed saws, ironically called "Friendship"
The structure must be rigid, so nodesbolts are tightened. Wheel of medium size should be fixed to the frame locknuts. 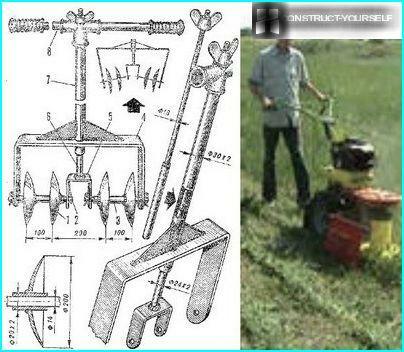 The result was a homemade cultivator, which is very functional and easy to use. Doing their own hands quite rotary cultivatornot easy. Here and need special skills and good physical preparation. If all of these qualities in your presence, you can try to build this tool, which will be much more effective than all the previous ones. It can help you not only to cultivate but also harrowing the ground, deftly splitting large clumps. The working bodies of the cultivator arebulging discs that have to be welded to the sleeves, put on the axle. Axial ends secured with locking pins, which are fixed to a large bracket. Then the top of this hole is cut staples. It fixed the handle with a cross. To be small bracket welded rod 25 cm long and 24 mm in diameter. It is screwed a rod 16 mm in diameter. Part of the rod protrudes over the crossbar. The desired spherical disc 4mm thickmake not so easy. To do this, you need to be able to deftly managed with a hammer. Strong and accurate blow to the center of the disc converts it into a cup. Here is this a job and need major physical effort. Special wing nuts that are on the bar, adjust the angle of the spherical disks relative to the direction of movement of the cultivator. All the above equipment is simple enough. 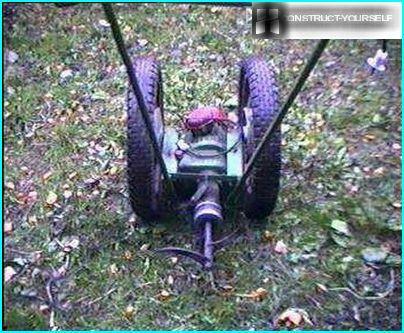 But in our own workshop can produce and homemade electric cultivator. This proves once again that the possibilities are almost limitless domestic masters. 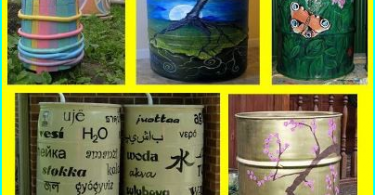 To implement this idea, you will need an old industrial grinder. On its basis, and will be built efficient electrical assistant gardener. It's not so difficult as it seems, if there iswelder and master who knows how to use it for other purposes. For gear unit should attach two corners. To the corners of welded tubes with a bend to be used as handles. Between get arms welded to another section of pipe - brace that gives the desired design strength. To be welded corners and axles for the wheels of the cultivator. 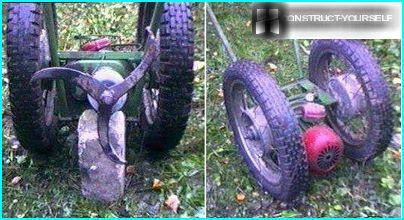 Wheels are selected mid-size to be easy to use and do not fall into the soil. The main part is the design of the shaft. Grind it to be out of the ordinary scrap. The connection is made as the original: in the slot. Nozzle grinder cut away with a sledgehammer, and then remains bush with thick walls made of cast iron. As she placed the machined billet from scrap to which the welded lugs in the form of screws. They are cut from automobile springs. Other variants of the material was used for the lug, but they were not viable. Lugs are arranged at an angle of 120 degrees. They need to turn helically along the rotation, then it will be easier to enter the land, and indeed the cultivator will be easier to manage. The motor vehicle is connected via the "triangle" pattern, start - capacitor. Engine switch for ease of operation is set to the handle of the cultivator. The device will last long if the grease before starting work mate homemade shaft in a cast iron sleeve any residual oil. cultivation quality depends on the speed of movement of the cultivator. Fast plowing will be rough, but at a slow - the land can literally be recycled to the dust state. 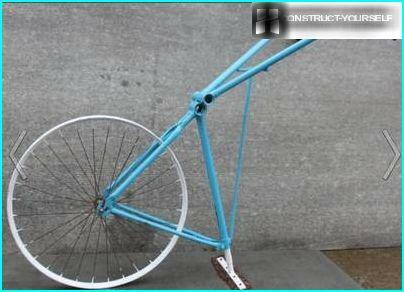 Do not rush to dispose of old bicycle andserved its washing machine. These things can be more useful if there was a desire to make the cultivator his own hands, at a cost of a minimum of means. Now you know how you can make yourself a cultivator. It remains to apply their knowledge in practice.